Despite the frustrations facing many northern growers as crops remain standing in fields, where crops have been harvested, there have been some pretty surprising results. 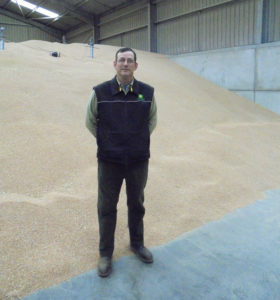 For Craig Norrie, farm manager at Banchory Farm, Kirkcaldy, of JM Cochran Ltd, one of his fields of Zulu winter wheat has yielded 16t/ha at 17.8% moisture, off what he describes as his most ‘awkward field’. “Whilst the crop has not been over a weighbridge, the local John Deere dealership has verified the yield,” he says. Harvested over a 2 day period, starting on the evening on 30th August and finishing on 31st August using a John Deere T660i combine, Mr Norrie says he was really surprised when he saw the combine meter hitting the 16t/ha mark. The 16t/ha crop of Zulu, drilled in the last week of September after OSR, at a seed rate of 190kgs/ha, established well, and continued to do well through to harvest, despite the difficult season. 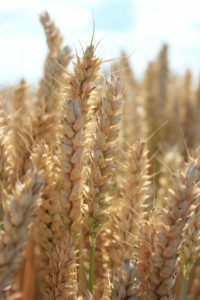 Mr Norrie has always grown wheat for the distilling market, and has done very well in the past with Robigus. In fact, it was Zulu’s Robigus parentage that attracted him to the variety last year. 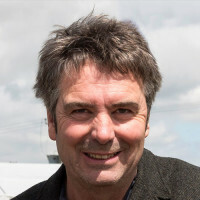 Breeders of Zulu, Limagrain UK, recognise that Zulu has a weakness for yellow rust, but with an appropriately timed protectant fungicide programme this should not be a problem; such as that used by Mr Norrie, who has not had any issues with the disease.